♥ NAPHYRA ♥: Is 134 a Lucky Number..?? Alhamdulillah.. Lurve-You DIY has been listed in Blog Baru (2010) Pilihan Contest. Is 134 a lucky number? It all depends on your vote. Please feel free to place your vote here. Your voting are highly appreciated~!! TQ. 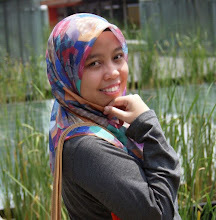 Oh yaa.. Don't forget to vote for our blogger friend, Shakina & Sharifuddin too. They're listed in Blog Baru (2010) Pilihan - 5. Please find number 193. Thank you for voting! ok kina. dah vote kina jugak..